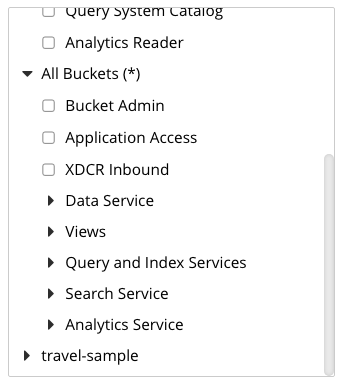 Couchbase Web Console (see below). The REST API method /settings/rbac/users. 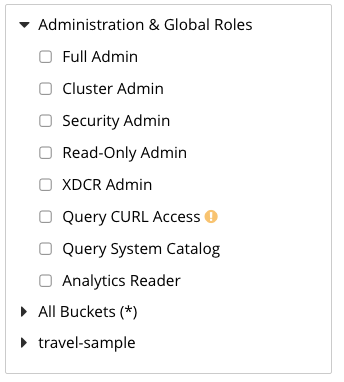 See Role Based Admin Access. 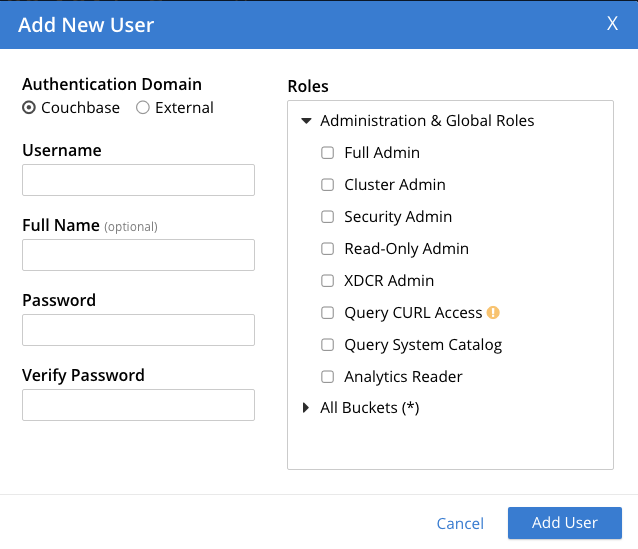 Using Couchbase Web Console, you can assign roles to users interactively. The administrator who initially performs installation and configuration of Couchbase Server — the Full Administrator — is granted read-write access to the entire system. The user ID of this administrator can be either locally defined, or remotely; for example, by means of LDAP. 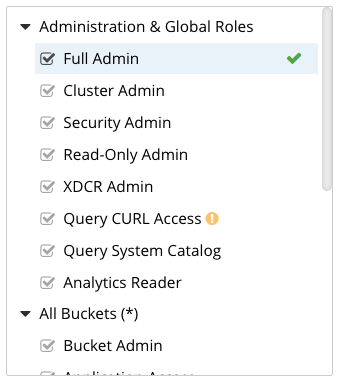 Once basic system-configuration has been completed, the Full Administrator is free to add additional administrators to the system, and assign them roles; thereby specifying their access-privileges. The Security view allows users to be defined, and roles to be allocated to them. It also allows management of the Root and Client certificates; of Audit-processing; of Log Redaction; and of Session timeouts. The Authentication Domain panel features two checkboxes: one specifying Couchbase, the other External. By default, Couchbase is checked: this means that the user will be defined locally, and that a user-password must therefore be created, using the Password fields displayed on the dialog. To define a user externally, check the External checkbox. 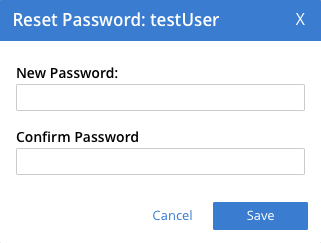 If you do so, no password need be specified, since one is assumed to have been defined elsewhere; and the Password fields therefore disappear from the dialog.